Scouting is a volunteer-led program. Each Scout troop is sponsored by a local community organization. Parents are welcome and encouraged to get involved as a troop leader or volunteer. Parents and the community organization select troop leaders. Scout leaders have the opportunity to work with young men and their families, improving the community throught fun-filled activities that teach values of the Scout Oath and Law. By serving as a leader you can help make a positive difference in the kind of adults Scouts grow into. Q: How do Scouts get service credit? Best practice is to send the Scoutmaster an email prior to the service work to receive Scoutmaster approval. Then bring a print-out of the registration or some other such document to a Scout meeting with the Scout's name on it, the date of the service, the hours worked and a signature from someone from the service area. Just like with the blue cards for merit badges, we’d give that document to the Advancement Committee to record in Troop Track. Q: Can a scout take merit badges courses before completing 1st Class rank? Technically, a scout can start earning merit badges before completing the 1st Class rank (or 2nd Class or Tenderfoot for that matter). However, it is best to concentrate on completing those ranks before getting too worried about merit badges. Q: Can a scout work on merit badges on their own time? Scouts can work on merit badges as part of our troop meetings (which typically require some work outside of troop meetings). Or, a scout can work on merit badges indepently. If he does that on his own, he needs to be working with a merit badge counselor that is guiding his work and signing off on his activities. The Scoutmaster can help pair a scout with a merit badge counselor. The Scout can also choose to take merit badges through an organization called Scoutmaster Bucky (http://www.scoutmasterbucky.com/). 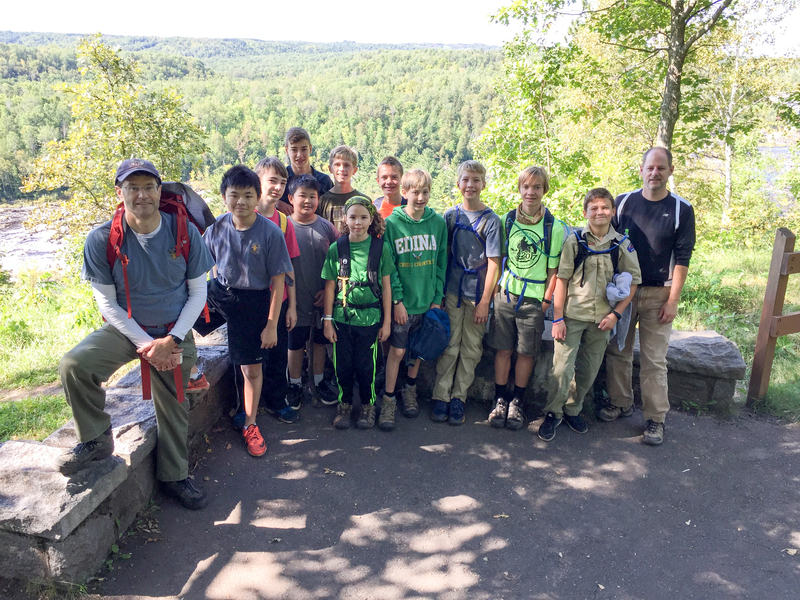 They provide weekend merit badge courses and it is a great way to make some solid progress. Q: What is a Board of Review: After a Scout has completed the requirements for any rank, he appears before a board of review. Its purpose is to determine the quality of his experience and decide whether he has fulfilled the requirements for the rank. If so, the board approves his advancement and encourages him to continue the quest for the next rank. Boards are comprised of 3 volunteer adults. Scouts should wear their Class A uniform, bring their scout book, and be prepared to discuss the requirements for the ranks you advanced as listed in back of book (which does include knowing the Scout Oath, Law, motto, and slogan). Q: What is a Scoutmaster Conference? The Scoutmaster Conference is an informal conversation between Scout and Scoutmaster toward a certain goal or as a requirement for advancement. In either case, open-ended questions are used to prompt the Scout's comments. The conference is conducted by the trained Scoutmaster or Assistant Scoutmasters. It is required for rank advancement, but can be conducted more often. Q: How do you login to TroopTrack? To access TroopTrack, go to: http://edinatroop62.trooptrack.com. Click the "Log in" link in the upper right corner of the screen. User names are usually "FirstnameLastname" with no spaces. If you don't know your password, you can reset it at: https://trooptrack.com/password_resets/new. If you need help accessing TroopTrack, contact Craig Lebakken at craig@lebakken.com.